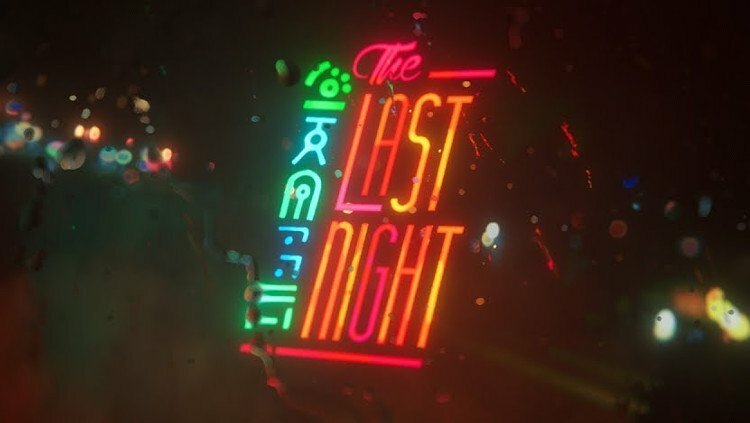 The Last Night creative director Tim Soret has been forced to explain old tweets that were unearthed following his game’s reveal at E3 2017, with some Twitter users shining a light on the anti-feminist and pro-GamerGate views he’s expressed on the social network. The Last Night was one of the highlights from Microsoft’s Xbox One presentation yesterday, though shortly after its trailer debuted, many Twitter users began pointing out controversial messages posted by Soret over the past few years. 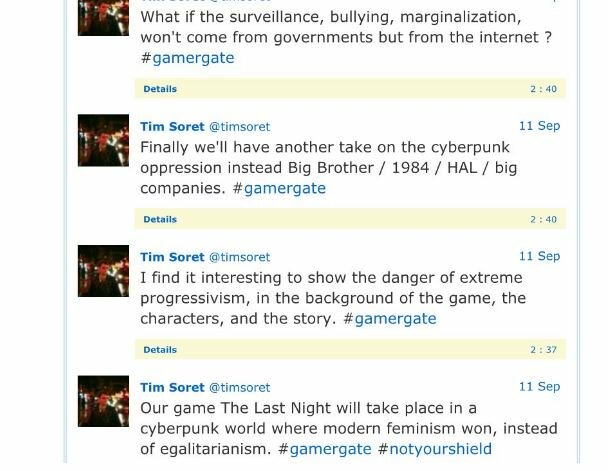 Among these tweets were messages regarding The Last Night from early in its development, with Soret explaining in 2014 how the game would “take place in a future where ‘progressivism’ has spiraled out of control,” and that it would feature “a cyberpunk world where modern feminism won.” “Finally we’ll have another take on the cyberpunk oppression instead [of] Big Brother / 1984 / HAL / big companies. 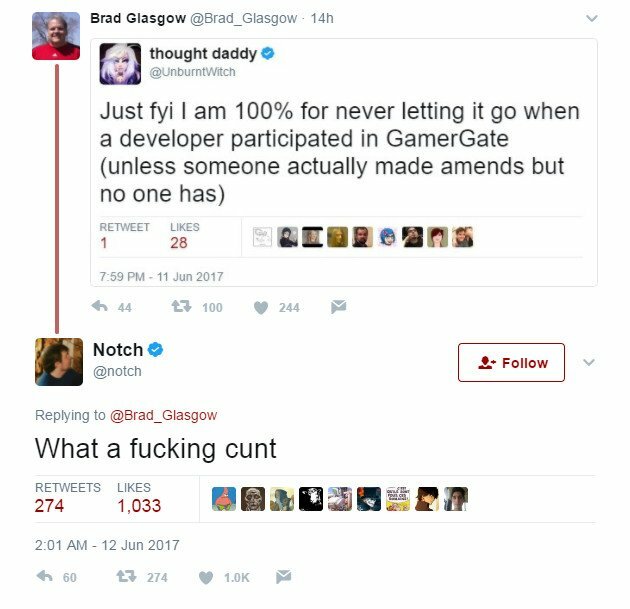 #gamergate,” he tweeted. The Last Night‘s Steam page doesn’t feature any references to the potential themes touched upon in Soret’s earlier tweets, with it instead depicting an “era of leisure” in which universal basic income and artificial intelligence has rendered society apathetic. 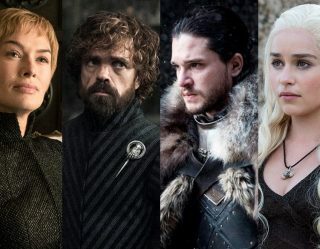 “Stabilised by universal income, people struggle to find their calling or identity, and define themselves by what they consume, rather than what they create,” it reads. The game will make its way to PC and Xbox One in 2018.